Forget about sub shops and retail franchises! 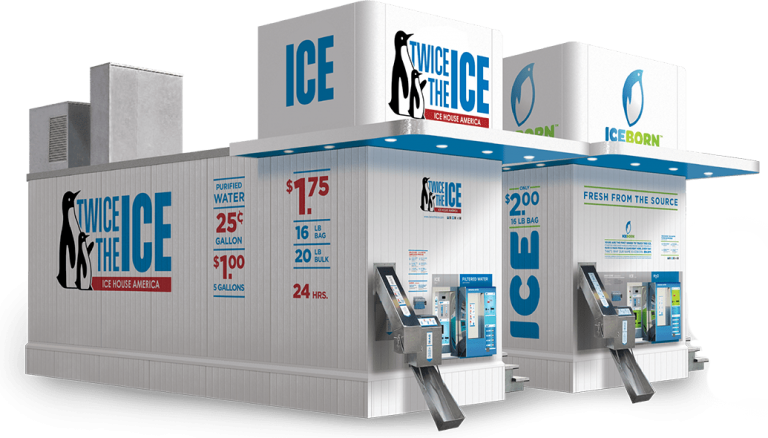 Ice House America ice vending machines create fresh clean ice and can vend that ice into bags or directly into a cooler. The machine also has the capability to vend water to fill up a water bottle or for a full water cooler. 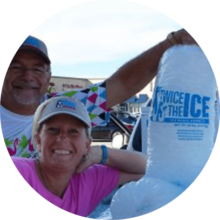 Our franchisees typically charge $1.50 or more for a bag of ice and $1.00 or more for a 5 gallon water fill up. Construction workers, restaurants, and individuals use our machines everyday for their bulk ice needs providing a consistent source of revenue. A location for your vending machine – we’ll even help you find one!